John McLean was an American jurist and politician who served in the United States Congress, as U.S. Postmaster General, and as a justice on the Ohio and U.S. Supreme Courts. John McLean was a an attorney, political leader and Associate Justice of the United States Supreme Court. McLean was born on March 11, 1785, in New Jersey. His parents moved to western Virginia in 1789 and later traveled to Kentucky. By 1797 the family was settled on a farm in Lebanon, Ohio. No free schools existed in Ohio and McLean's family could not afford to pay his tuition for him at a private institution. McLean was an avid learner, commonly borrowed books from his neighbors and educated himself. In 1803, McLean moved to Cincinnati, where he studied law with the son of former General Arthur St. Clair. He supported himself by working as a copyist in the clerk's office of Hamilton County. In 1807, the State of Ohio admitted him to the bar. McLean began a political career in 1812. Voters in Cincinnati elected McLean to the United States House of Representatives. In 1814, they reelected him to his seat without opposition. Before the end of his second term, the Ohio legislature appointed McLean as a justice of the Ohio Supreme Court. McLean held this office from 1816 until 1822, when President James Monroe appointed him as a commissioner of the Federal Land Office. A year later, Monroe selected McLean as Postmaster General to replace another Ohioan named Return Jonathan Meigs. President Andrew Jackson appointed McLean to the United States Supreme Court on March 7, 1829. As a Supreme Court justice, McLean's most famous case was the Dred Scott v. Sanford decision. In this case, McLean favored granting Dred Scott his freedom. Scott was a slave suing for his freedom because his owner had taken him to a state where slavery was illegal. McLean's opinion went against the majority opinion of his fellow Supreme Court justices. In other cases, McLean upheld slave owners' rights to reclaim their runaway property in states that had outlawed slavery. He also ruled that states could not implement laws that made it impossible for the federal government to enforce the Fugitive Slave Law of 1850. McLean's prominence as a justice on the Supreme Court led a number of people to consider him for the presidency. In 1836, the Whig Party thought him to be a possible candidate. In 1848, both the Liberty Party and the Free Soil Party debated running him as their candidate. In both 1856 and 1860, the Republican Party considered nominating him. McLean, however, never became a candidate for president. 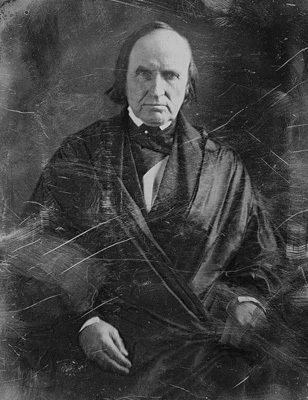 He remained a justice on the Supreme Court until his death on April 4, 1861.